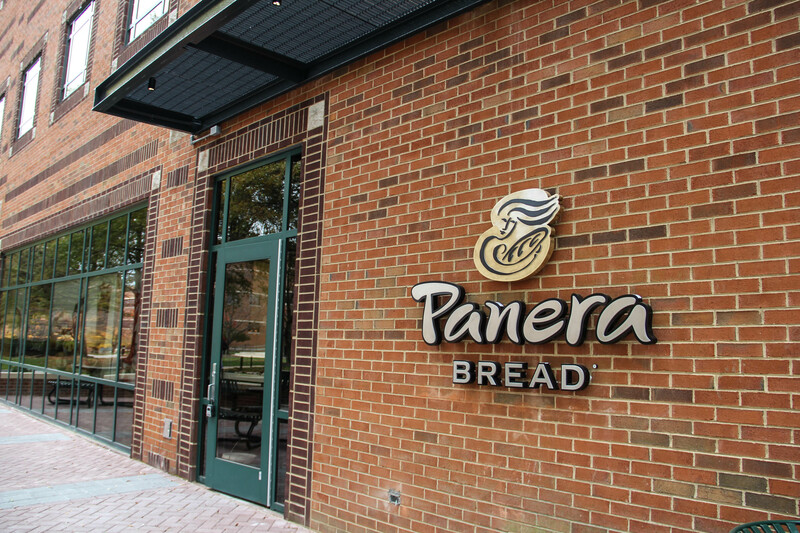 Panera Bread, which opened its campus location last Saturday, already seems to be a success. It is rare to pass the restaurant’s entrance without a line wrapping into the Johnson Center. Imaginably, it is demanding to work in the store and see the crowd. “Working here gets you stressed, a little bit like when the line gets really full, like when it stretches out of the door. That’s when everyone starts getting really stressed so bad. But we still work hard, we get everything fast and get more people to come help us. Like when people order a whole bunch of sandwiches we try to do everything so fast but not make any mistakes,” a Panera employee, Mery, commented. Most students seem to be in agreement that Panera was a good Mason dining decision and are pleased with the outcome. “You know, I had never really been to Panera Bread before it opened here on campus. But I really like it so far. I like the variety of options and the fact you can get all kinds of different foods,” said Areej Radwan, sophomore, business management major. Freshman film and video studies major Peyton Shahan agreed. She has already been to Panera Bread twice since it opened. Some students, including sophomore government and economics major Fletcher Phillips, have been three or four times. The opening of Panera Bread however, also meant the closure of popular Mason dining location, La Patisserie called “La Pat” by students. “[I prefer] Panera. They’ve got more food. It’s all about the sheer volume for me,” Phillips said. For other students, if they had to choose, they wish La Pat could have been on campus for all four years of their time at Mason. “We were just saying that, if we had to choose, we would bring La Pat back for the sentimental value,” said Nicole Taylor, senior, criminology major. “Other than the Rathskellar, La Pat is the only place that is specific to Mason. Even though Panera has a ton of options, especially vegetarian options, we still feel like we would rather Mason have some sort of identity than just chains,” said Rose Kenyon, senior, environmental studies and sustainability major. Another student had similar feelings as Kenyon, although he argued that adding Panera was not much different from having La Pat. “I think [having a Panera] is moving from one big business [Sodexo] to another. Basically keeping up with [commercializing] George Mason even more than before” said James Gao, senior, finance major. Despite their sentimental feelings, these students were interviewed while eating at Panera. Moreover, many students mentioned that they are willing to wait for their meal even if it means being in line for 10 to 20 minutes. Then again, the line does detract others. Senior Tim Bruser and junior Fatima Abad were sitting in the Johnson Center eating from Indaroma when their original plan to visit Panera hit a snag. “I was not eating Panera today because I did not want to wait half an hour in the line to get soup,” Bruser said.